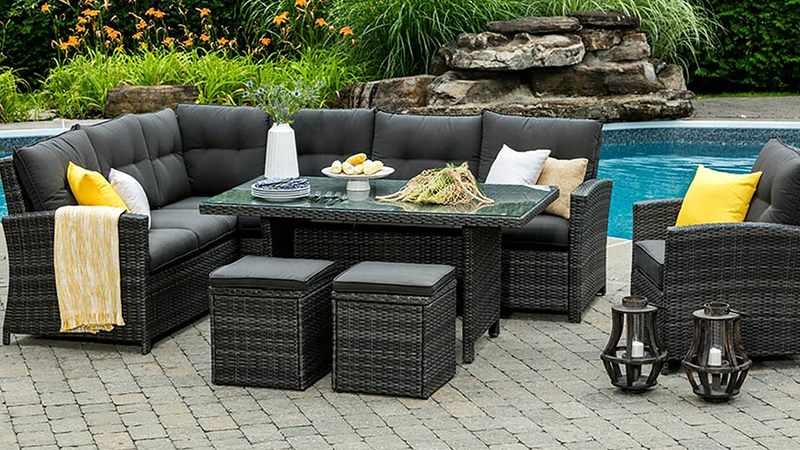 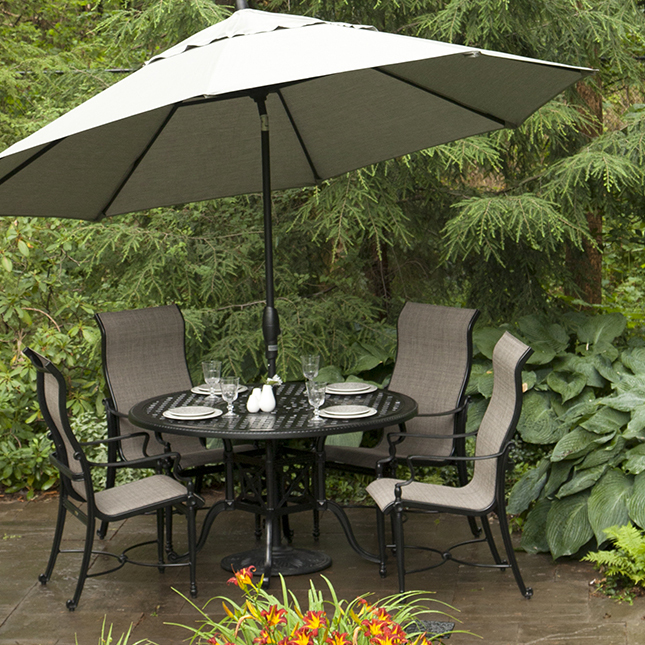 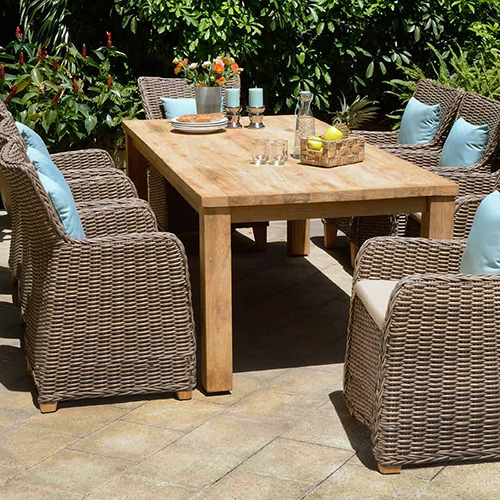 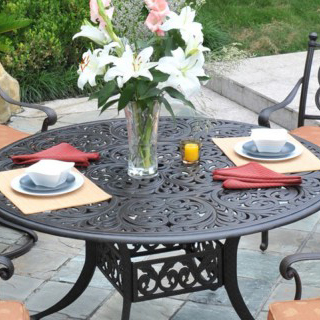 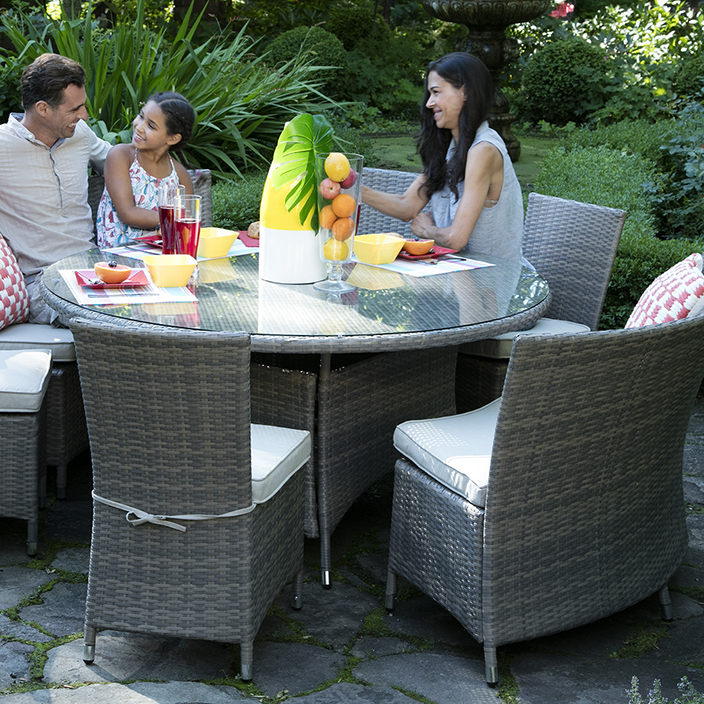 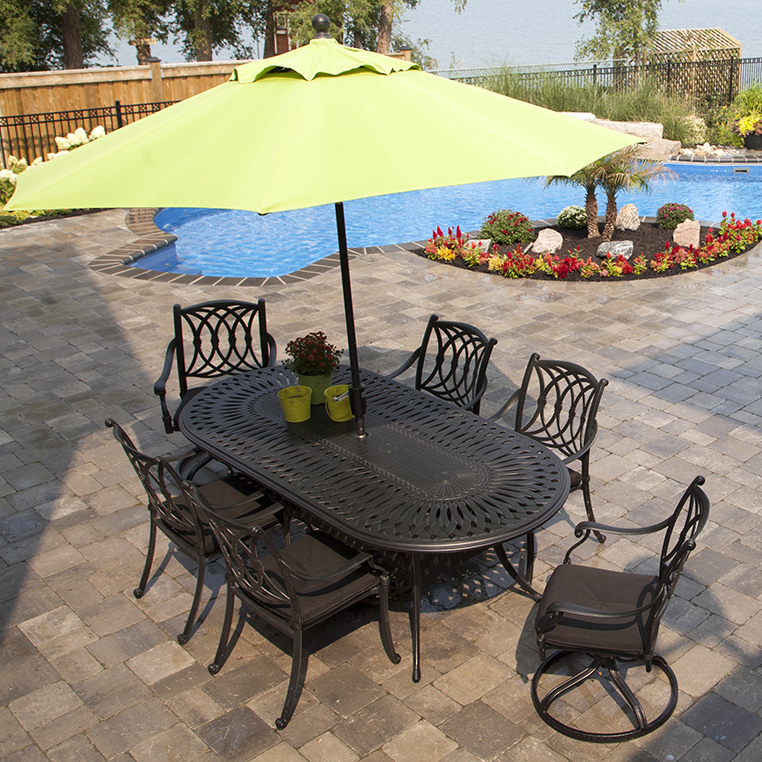 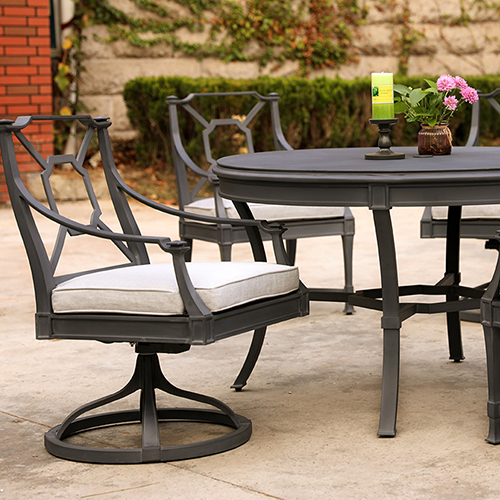 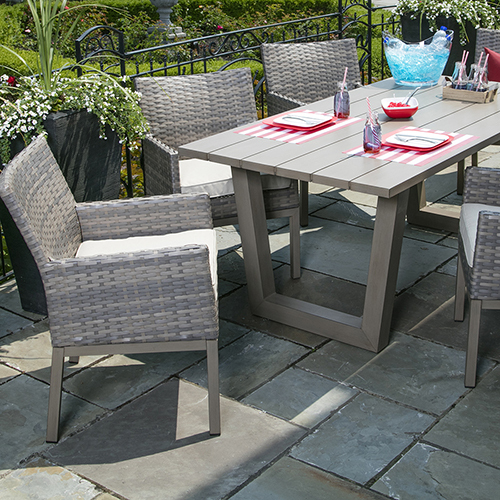 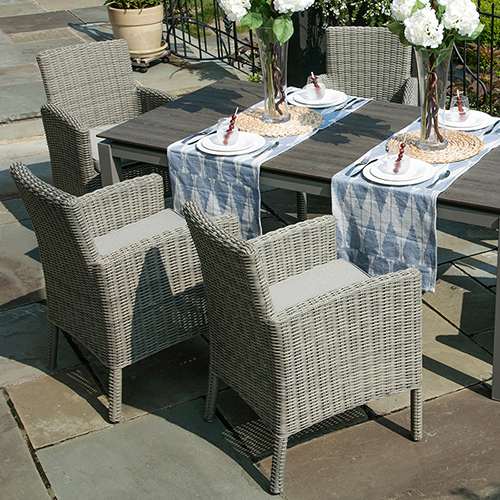 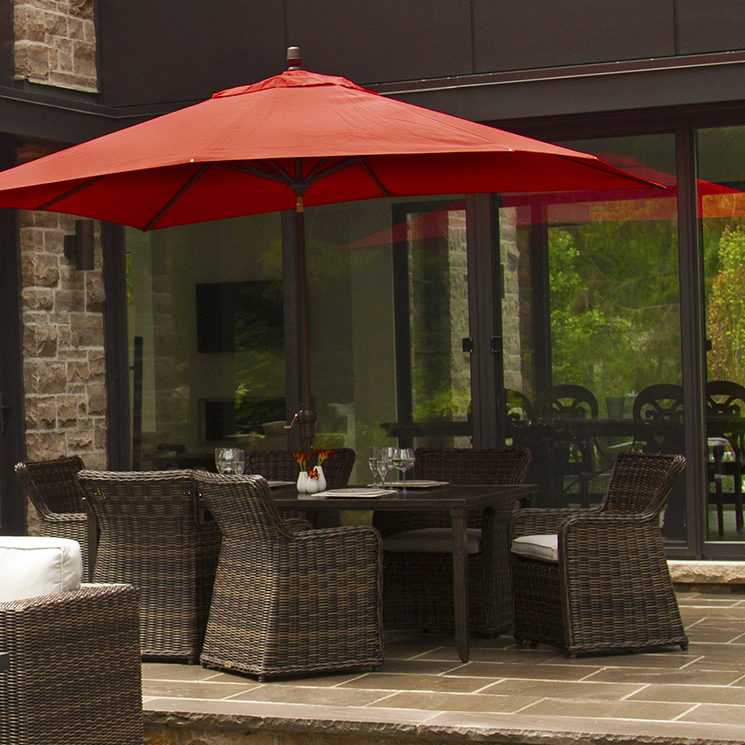 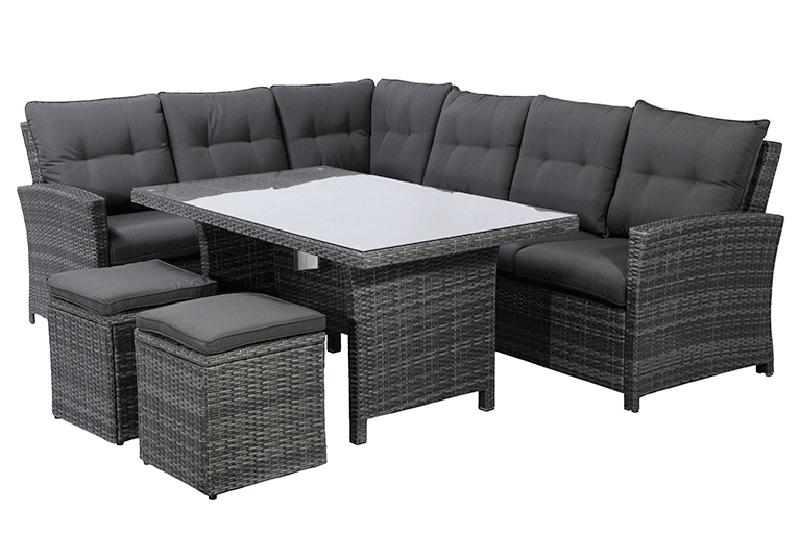 The Valencia 5-Piece Outdoor Dining Collection has been designed to bring the best of both worlds to your outdoor living space. 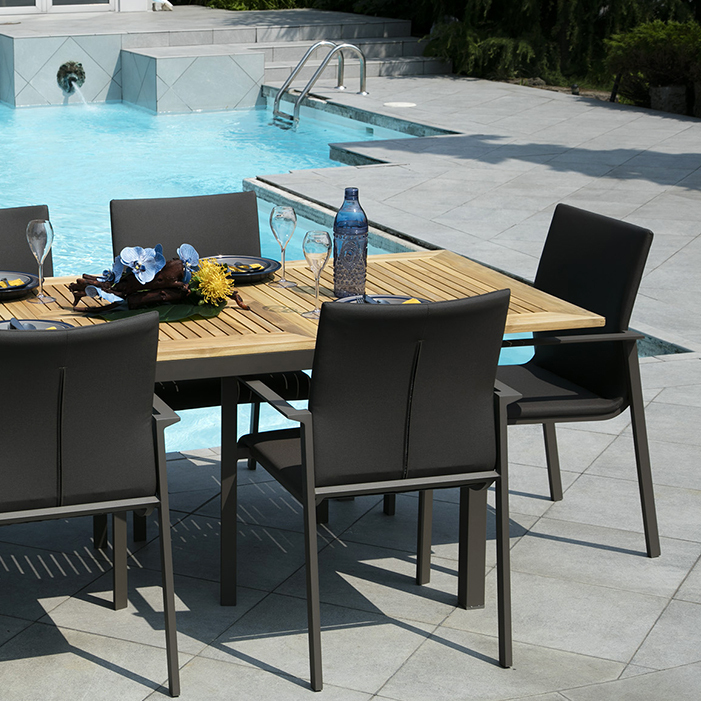 The Valencia allows you to enjoy the pleasure of comfortably seating and dining in the same space. 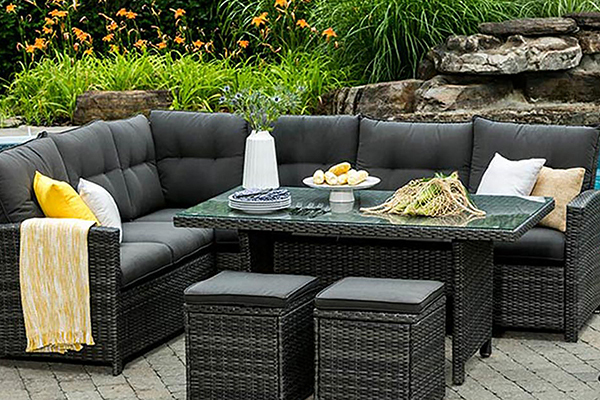 Featuring wide, plush back seat cushions for support, the Valencia grouping also provides two tall ottomans for extra seating. 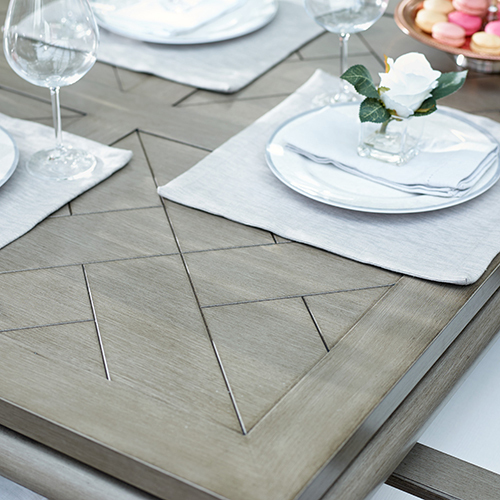 The High Top Coffee Table is not only the perfect height for enjoying a full meal, but it also serves as a non obtrusive coffee table when needed.